I left super Subha and beautiful Bangalore on Tuesday 24th November, boarding my first night bus in India from a hectic part of Bangalore. Just over eight hours later I arrived in Hospet, the closest town to Hampi, a small village in Karnataka which was once one of the richest and largest cities in the world: in around 1500 AD it was second only in size to Peking-Beijing, and was almost three times bigger than Paris. 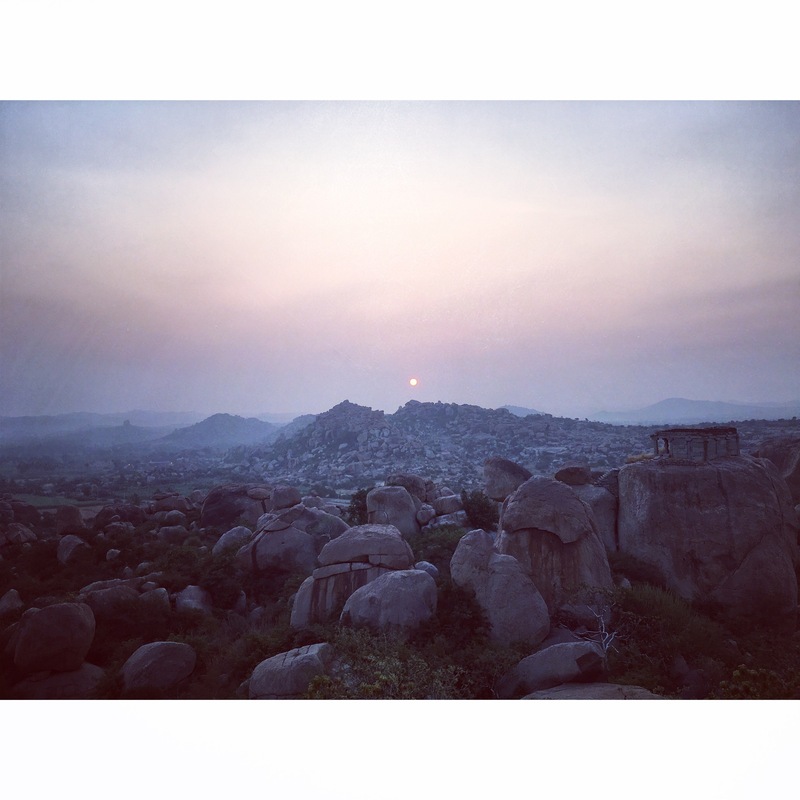 I didn’t know much about Hampi other than the fact that, as a tourist, I was meant to go there. The auto rickshaw driver who collected me from the bus stop (at around 5.40am) was nicknamed “coffee” and first tried speaking to me in heavily accented French… when he found out I was a Deborah from Leicester who’d lived in Jersey, he was overjoyed – he had two friends, one from Leicester, one from Jersey, both named Deborah. Small world, perhaps. He’d also heard of Sri Lanka – this was unusual compared to our experience of rickshaw drivers in Bangalore, Subha confirmed that many people who are working in such roles in India, and in Bangalore in particular, are largely unaware of the existence of the teardrop isle just off India’s south eastern coast. Surprising? I’m not sure. Wednesday, 25th November was a full moon, or, ‘Poya’ day (a term I’m used to from Sri Lanka) where practicing Sinhalese Buddhists perform poojas, each poya day commemorating a different key moment in Buddhist belief: this one the ‘Ill’ full moon poya. It’s so interesting to me that I’m finding it easier to see Sri Lanka clearly from India. A sense of perspective, perhaps? Another Sri Lankan theme: my first stop was to watch sunrise from the Malyavanta Raghunatha temple: the place noted in the epic the Ramayana as the resting spot for Rama and Lakshama during the rainy season as they searched for Sita. Poya day locally is known as ‘Punami’ (!) day in Telugu or ‘Hunami’ in Kannada (Telugu and Kannada are Dravidian languages spoken in the region, Telugu stands alongside Hindi as a language which predominates in more than one Indian state, Kannada has some reassuring similarities to Tamil, making some of it sound familiar). Similar rituals were at play as those I have seen in Sri Lanka; the monk together with a group of devotees were performing their pooja in the temple, continuing through day and night. Hampi is a beautiful location. To me it was like a cross between The Flinstones and The Jungle Book: I was staying at a guest house called ‘Mowgli’. The terrain is unique and the solo strolls I chose to make every day were well balanced by the proliferation of pastries from German bakeries and large shabbat plates of humous from the many restaurants geared to the teams of Israeli visitors who seemed to be keeping the place supplied with all manner of delights from Goa. As can be the way when you are treading the right path, I met a very kind guy from Malta who built a property on Sri Lanka’s south west coast four years ago and – at the moment of completion – wasn’t quite sure why he’d done it. We spent a therapeutic afternoon together during which he shed a light of optimism over any similar situation, walking me through how he made the journey from feeling financially burnt-out to the current moment where he is reaping the rewards of his choices, as are the landowners on which his property is based in Sri Lanka. Thank you, you were my kind of Maltese Falcon. 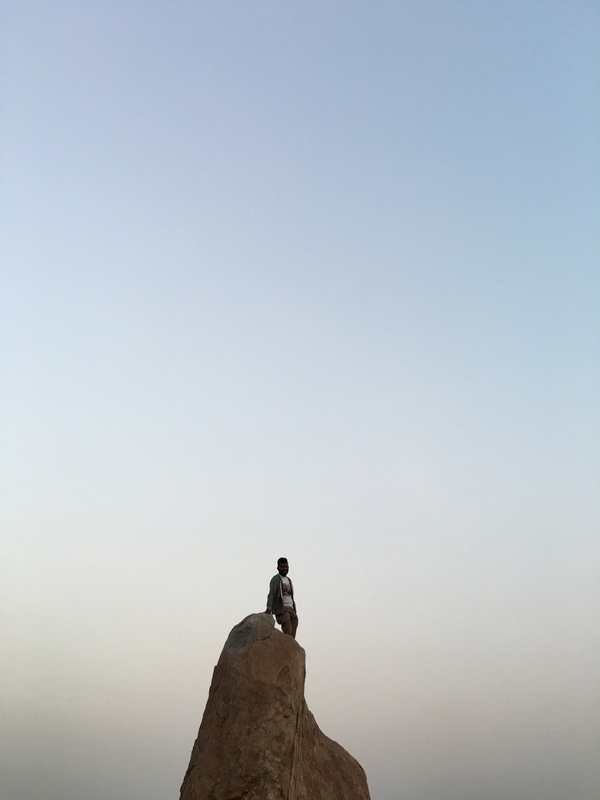 So, Hampi is a gorgeous bubble. I stayed three nights, leaving on the evening of my fourth day, keen to push on both due to the shortness of this first my visit to India and the fact that while stunningly beautiful, it’s not really like experiencing India – and there aren’t enough cheap and wonderful local food shops to drop in at any any and every opportunity. But the croissants, danish pastries, quality coffee and humous are very rewarding in their own right. Soon might be the time to visit Hampi: many guesthouses along the river are being torn down right now, and I hear this has been happening for the last three years. There is a drive to remove the accommodation clustered along the river and close to the ancient sacred sites, pushing tourists into 5-Star resorts in the nearby town of Hospet. This would change the experience incredibly and I count myself very lucky to have visited Hampi as it is today. If you want to go, don’t leave it too long before you make the trip. This is like a bedtime story telling I look forward to – just not at bedtime and not nearly enough. Just one more story……! Ps. Did you choose to leave out the part about being chased by the guy on the bike from your abandoned hotel! Hilarious story for a later time perhaps? Bedtime stories! Now that’s an idea. I think if we’d have all just gone to bed instead things would have been a lot better. As it was, there were wells to fall into and parties to rave at – I guess these things all have their time and place.